Our new top cover is made with the same contour around the bolt holes as the originals. Replaces Ford part number C4AZ-7222-A. There is no air vent hole in this top cover. 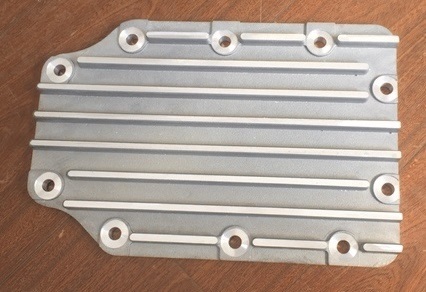 We recommend an air vent in the tailhousing (part number DK296-66) or you will have to drill a 3/32" hole in the center of the dimple like the original top cover. With this air vent the hole in the top cover is no longer needed and can be blocked to stop oil from leaking out of it constantly. Use a letter R drill bit and 1/8” pipe thread tap to install the vent on the top of the tailhousing.